School food trays are served in almost every school in america. Our lunch trays are the most economical choice for your school lunches. Our disposable meat trays on the other hand are used in almost every supermarket in america to wrap their fresh meats on. 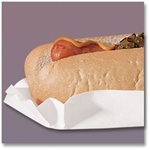 Made of foam, these meat trays are very cost effective for a disposable product. Choose below from our various food trays and trust in knowing that you are buying from the foodservice supply superstore. Cometware Clear Dome Tray Lid 18 in. dia. Thank you for shopping at Roundeyesupply.com for your restaurant supplies! We pride ourselves in providing you with the best prices of disposables in the foodservice markets. Our wholesale prices on food trays will blow your mind.